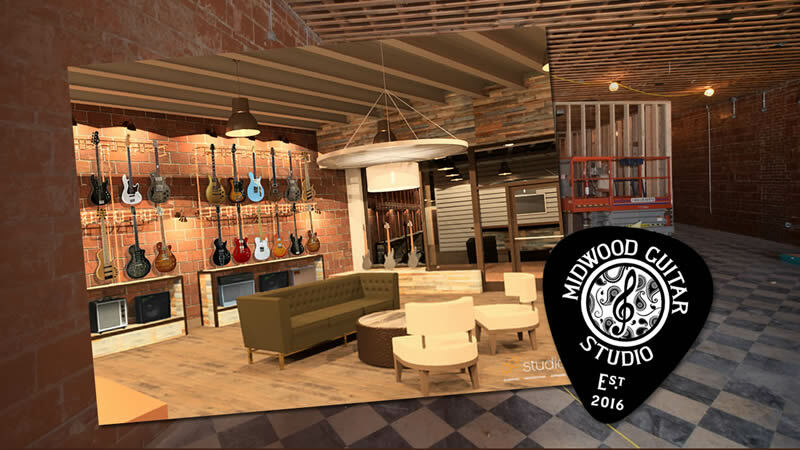 Charlotte, NC – July 18, 2016 – (GuitarPR) – Midwood Guitar Studio has announced the opening of their online store on Reverb.com as a preview to the grand opening of their Charlotte brick and mortar location in September. Midwood Guitar Studio has aligned themselves with an extremely talented team of custom and boutique guitar and amp builders and creators of unique effects pedals. With a substantial amount of inventory already in stock for the opening of the showroom, the company is now offering the guitars, amps and pedals for sale on their Reverb.com store. They are currently featuring, working with and servicing some of the finest brands in the industry, including guitars from Veritas, b3, Delaney, Briggs, Roscoe, Berumen, Larose, Mike Lull, Elrick and Schroeder. Also on board are amplifiers from Epifani, Genzler, Bergantino, Swart, Morgan, Victoria, Tone King, Benson and Oldfield, along with pedals from Walrus, Keeley, Chase Bliss and Earthquaker. Midwood Guitar Studio is a boutique guitar store in Charlotte, NC, located in the heart of Plaza Midwood, offering great hand-made instruments, amps and effects. Their new, fully outfitted showroom is scheduled to open in September 2016.